Healthcare research and online physician community Sermo has promoted Eva Laparra to the role of Managing Director of Europe. The current firm was formed from the merger of WorldOne with Sermo, and offers access to 1.8 million healthcare professionals in 80 countries. 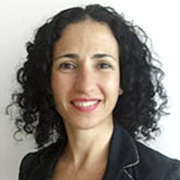 Laparra (pictured) joined four years ago after working for Vision Critical as MD for Spain and SVP European Operations. Prior to this she was VP, Global Marketing for Kantar Health (previously Ziment Group); and co-founded healthcare community panel provider All Global (acquired by WPP in 2007); having begun her career at Fieldwork International. In her new role, Laparra will manage the European commercial team, and be responsible for delivering the firm's suite of engagement and insight solutions to clients. EVP and Global Head of Sales Mark Antonacci comments: 'We are thrilled with how Eva has continually delivered on her promises to our clients, managed her teams, and grown our European [business]. The scope of the new role will enhance how we're able to delight our customers and bring our platform, products and solutions to market in a more cohesive and strategic way'.